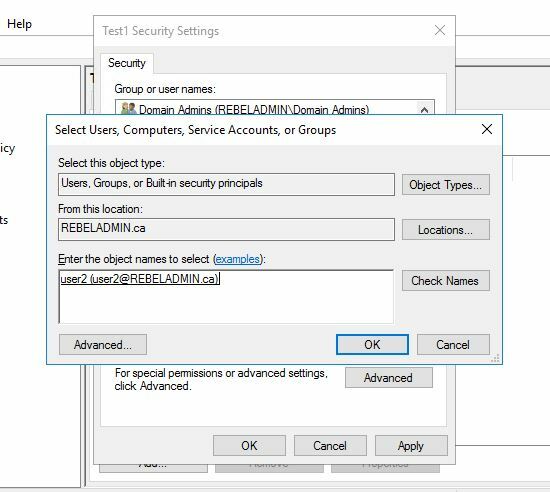 Sometimes excluding a user or user group from a group policy is needed to appease an application setting or system setting. 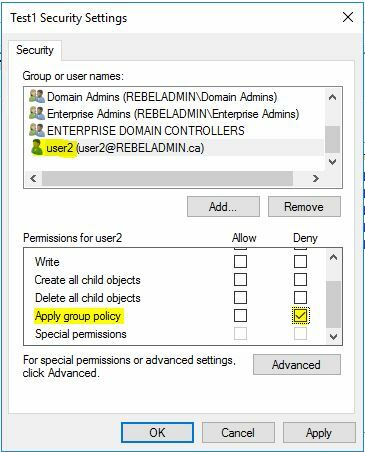 I've seen administrators create separate OU and move users there to exclude said user from the particular group policy. This is not necessary. 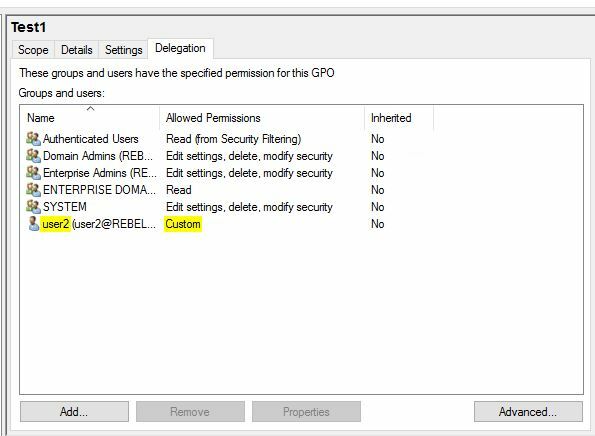 This post will demonstrate how you can exclude a user or group from a GPO to avoid the extra work. 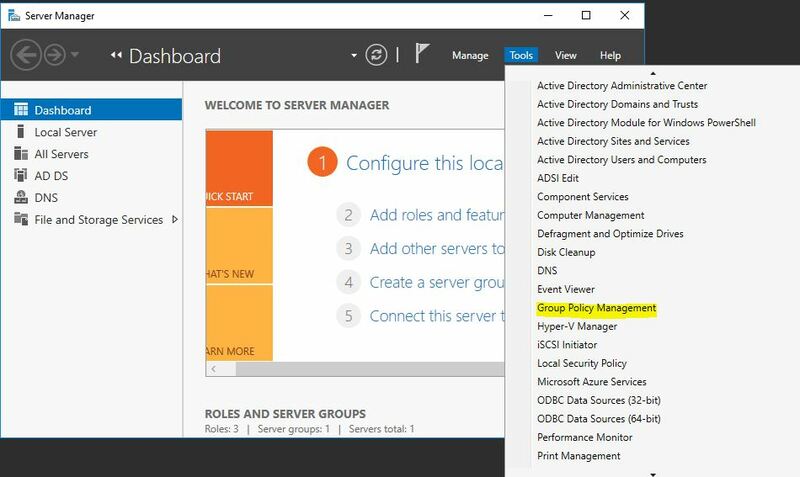 1) Log in to a server with administrator privileges (it can be DC server or a server with group policy management feature installed on). I am using windows server 2016 TP5 DC for the demo. 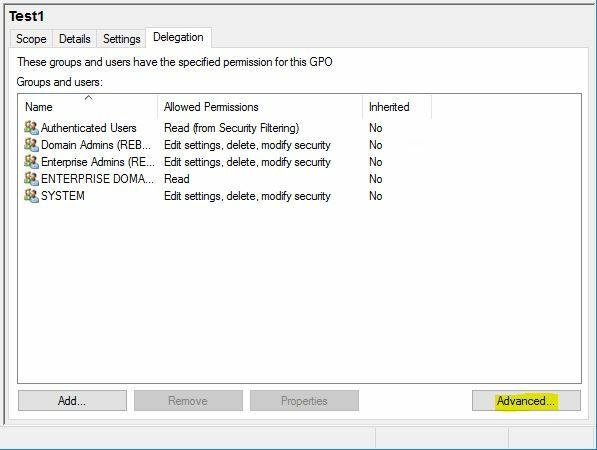 4) Click on the selected GPO and in right hand panel it will list the settings. Click on delegation tab. 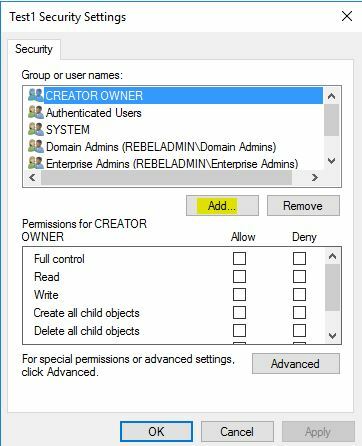 7) Then in the permission list, you can see by default Read permission is allowed. 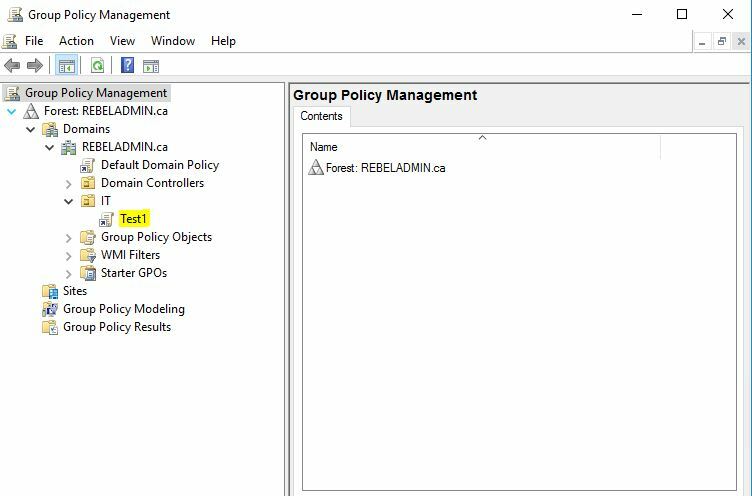 Leave it same and scroll down the list to select permission called Apply group policy. Then click on deny permission. 8) Then click on OK to apply the changes. In warning message click on Yes. 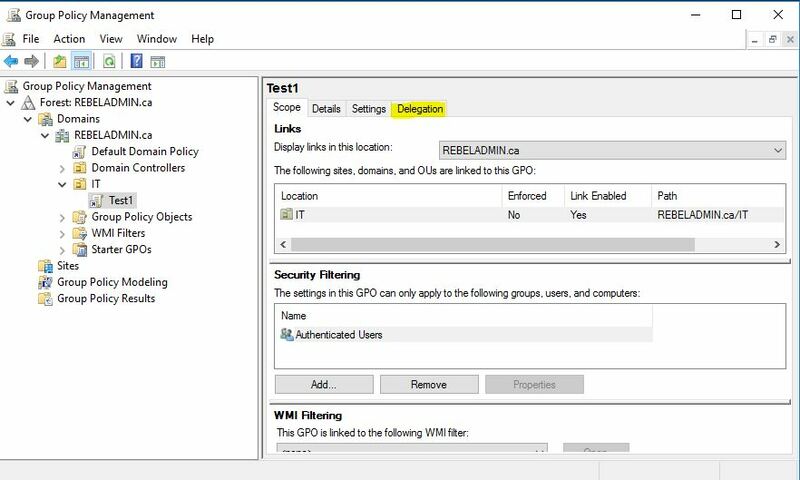 Now we successfully exclude user2 from the Test1 GPO.